total of 20 text message on DMR-MARC network - sent CANADA wide. VA3HBO William Marquis aka "MR.Bill"
The reasons are simple. Examiners VE3IPS and VA3xxx are selling ham licenses to anyone for money; no studying or testing required; this is polluting the ham community by allowing all sorts of scumbags on to the ham bands. VA3HBO William Marquis is one of those frauds who paid for a ham license. Others include VE3DJZ. VA3HBO holds a Morse endorsement, but does not know Morse. 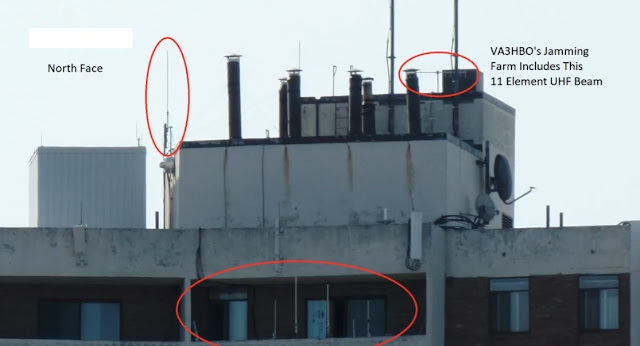 Direction finding operations during jamming sessions led to VA3HBO's 11 element UHF beam on the roof of in Scarborough. You can see that beam and VA3HBO his other antennas in the video. VA3HBO IS THE MAIN INDIVIDUAL WHO IS JAMMING YYZ, TWR AND XPR. These hams are also participating: VA3IPS, VA3AEP, VE3KFQ, VE3DJZ, VE3HJL VA3HBO has a long history of antisocial and criminal behaviour. The returned hits show that a Toronto man named William Marquis, who used (and continues to use) the nickname "hempster" has convictions for multiple crimes and was the financier as well as the second in command of the Pranknet organization. Pranknet members are sociopaths. Pranknet was responsible for terrorizing victims and causing extensive property damage. A victim - As she grew more frantic, the crying woman pleaded, "Can I leave? I want to get out of this room. Please." 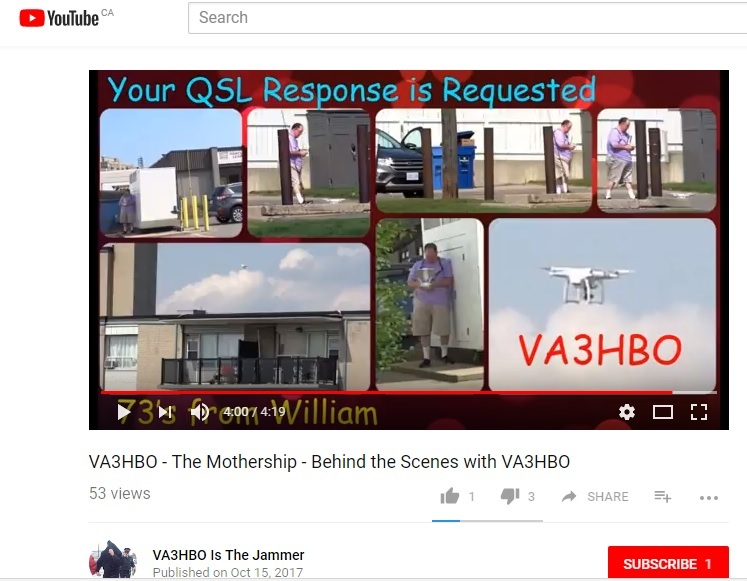 And more recently, VA3HBO has been engaging in a campaign of lies against VE3WZW, falsely accusing WZW of jamming ham repeaters when in fact it is VA3HBO, using his 11 element UHF beam to harass GTA hams. On Saturday, September 16, 2017, VA3HBO committed felony stalking by illegally flying his drone in close proximity to buildings, vehicles and pedestrians (in violation of Transport Canada rules) in order to peer into VE3WZW's home and then later create his stalker videos. 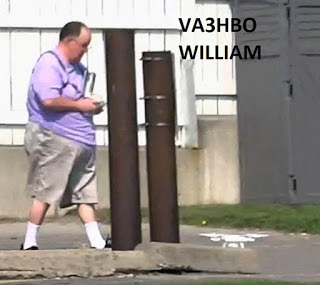 Unfortunately for VA3HBO, he lingered far too long (about 30 minutes) at the scene and was discovered hiding across the street from VE3WZW's home, operating, landing and retrieving his drone. 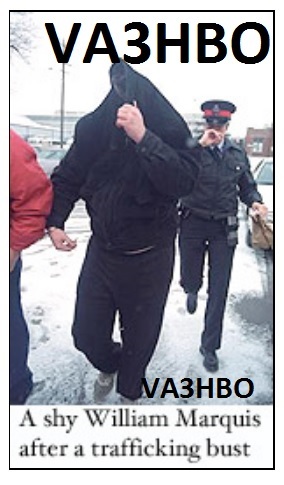 VA3HBO William Marquis has a long history of Immoral, illegal, sociopath behavior and he continues down that path today and will continue to do so in the future. VA3HBO's actions are condoned by his friends who act as enablers and provide cover for him: VE3IPS John Leanardelli VE3AEP Domenic Narducci VE3KFQ Doug Hodgson VE3DJZ Huey Salmon These individuals are all blaming the jamming activities on VE3WZW, even though they know that the true culprit is VA3HBO. VE3IPS and VA3xxx are responsible for criminals like VA3HBO being licensed hams. The situation will only get worse as these examiners sell more ham licenses to unworthy recipients. CBC News tried to contact both Malik and Marquis by visiting their homes. In both cases, no one answered the door. Now to locate who are the attackers.